The Grab-N-Go market is booming and so are its accessories such as a smoothie container. People are constantly seeking to eat healthier and many have found smoothies made from their Vitamix or Blendtec blender is the perfect way to add highly nutritious whole foods to their diet. In 2013 Americans have grown the Grab-N-Go market to $13 Billion and in 2013 alone it grew 3.6%! consume the smoothie in the home. So many have chosen to take the smoothie on the go with them. 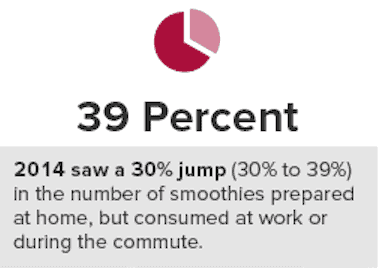 In 2014, a 30% jump was seen in the number of Americans preparing smoothies at home but consuming them at work or during their drive to work. Many folks go-to drink is a smoothie, with many having a thick texture from the frozen fruit or vegetables they use in the blender. This poses special challenges as most smoothie containers either have a drinking spout too small or too cumbersome. 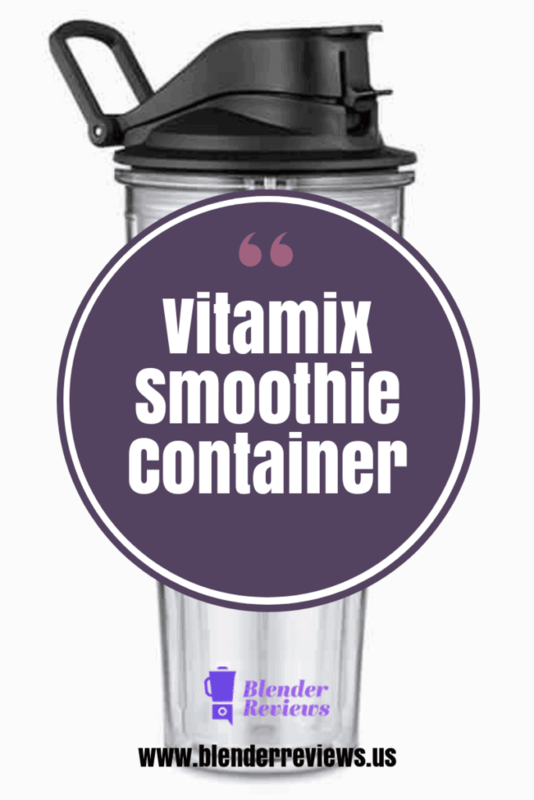 Vitamix makes a smoothie container made specifically for the type of drinks and smoothies we make in our high performance blenders. You can get free shipping on your new Vitamix Smoothie Container when you purchase direct from Vitamix using any one of the links throughout this website. Lid design is always a compromise of comfort and functionality. I have yet to see a perfect design, that is secure, easy to use, and easy to clean. A screw top lid is very secure, but it’s a piece that can get lost, or it will require a leash to be attached to it, both of which shorten the lifespan of the container if either get lost or broken. Cleaning is normally not a problem but food particles can get buried inside the threads. The other option is a rigid flip top lid, attached with a hinge. This design is good, except you have a lid that is big and cumbersome on the top of the bottle. The positive is it usually uses a rubber seal with pressure to keep an air tight seal, which results in a very easy to clean lid. The Vitamix Smoothie Container has a wide opening, spill proof flip-top lid. It’s heft and sturdy hinge are confident inspiring that it won’t open up in your bag or in your car by accident. The lid looks large and appears like it’d get in the way. But in real day-to-day usage, it’s very functional and out of the way. As with other Vitamix products, the smoothie container has a very sturdy, almost industrial feel to it. This design brings confidence that there won’t be unnecessary leakage. Both the container and lid are top-rack dishwasher safe! A very key feature to the Vitamix Smoothie Container is it’s double insulation. Most of the time the juice will be cool, or the smoothie freezing cold. You can maximize the longevity of the coolness with this cup. 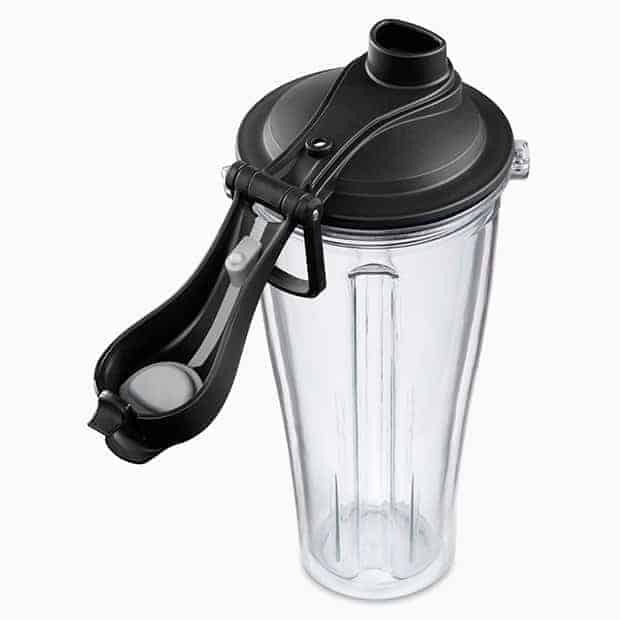 The Vitamix Smoothie Container is made of BPA-free Eastman Tritan Copolyester. Warranty When you buy direct from Vitamix, the Vitamix Smoothie Container is backed by the Vitamix standard 3yr warranty. Which includes 2-way shipping at no cost to you. This is a warranty that you could actually use! Best of all, it’s manufactured in the good ‘ol USA. 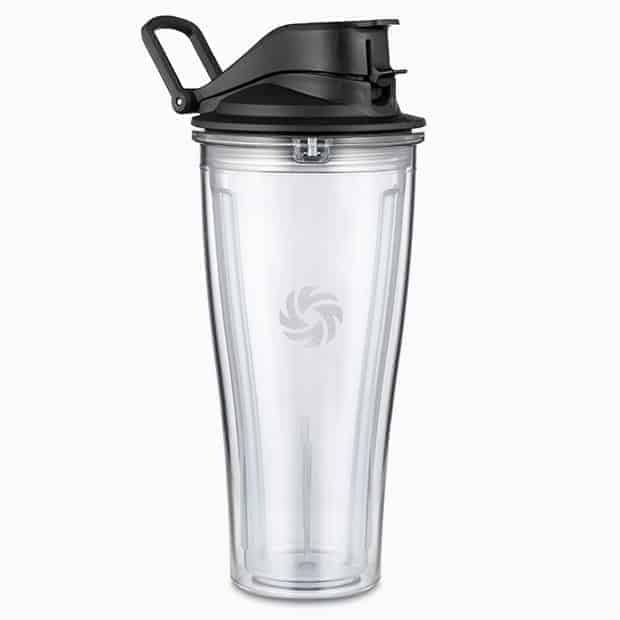 With the sturdiness, 3-year warranty, and Vitamix reputation, this travel cup is the perfect option for the smoothie drinker on-the-go. There are limited choices for a true, insulated, travel cup for smoothies, but this is a great one. It is a premium travel cup at an an affordable price, and should provide years of service. 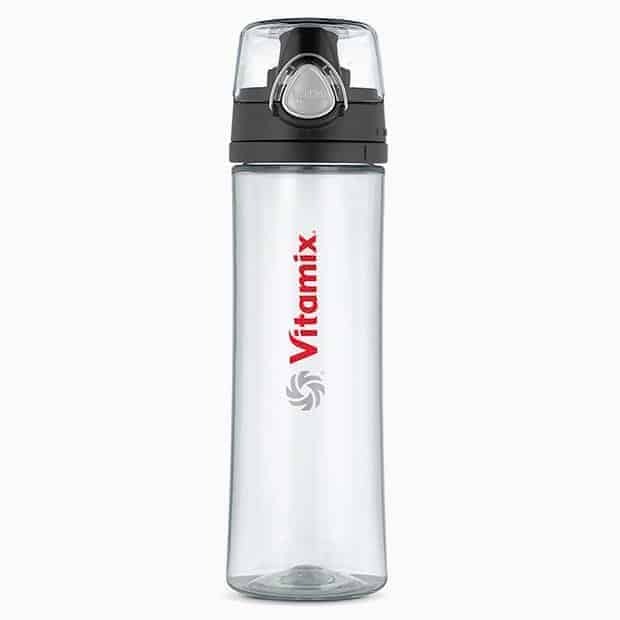 You can find the Vitamix Smoothie Container online at the links below. $29.95 with Free Shipping direct from Vitamix! Which Vitamix To Buy – Which Vitamix Is Right For You? Rick is an Engineer and a middle-aged father of an active 8yr old that is trying to live a longer and healthier quality of life. "Let food be thy medicine and let medicine be thy food"
There is no better way to prevent and even heal oneself from ailments than focusing on our food. Suffering from weight gain, especially after hitting 30 years old, it's been a journey learning to enjoy fruits and vegetables and losing 20 pounds along the way thru blending.